Currently in Cook County, one in six children are food insecure, not knowing when or from where their next meal will come from. Hunger amongst children has lasting effects- increased hospitalizations, developmental problems, headaches, stomachaches, and colds. The number of children in Illinois who qualify for free and reduced-price meals through the National School Lunch Program and School Breakfast Program has been on the rise. In response to the need, the Food Depository collaborates with area schools, after-school and summer programs to provide nutritious food year-round to approximately 250,000 children in Cook County. VISTA members will establish and cultivate new partnerships with schools, teachers, administrators, parents and the community on the promotion of Breakfast After the Bell for children through the National School Breakfast Program. • Understand the current status of breakfast programs within Cook County. • Identify districts to target and conduct outreach meetings. • Identify community leaders/groups to work with to improve their knowledge of childhood hunger and the role of school breakfast; enlisting them to advocate for their schools. • Support schools who implemented newly-developed school breakfast programs. • Work with targeted school districts to overcome issues that would limit participation in school breakfast. • Assist in connecting and providing schools technical assistance and identify methods for implementation and expansion. • Hold Breakfast Summits to engage schools and communities in school breakfast programs. 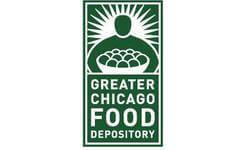 We will share your profile and application with Greater Chicago Food Depository. Before we can tell Greater Chicago Food Depository to look at your profile and review your application, we need a few more details about you.